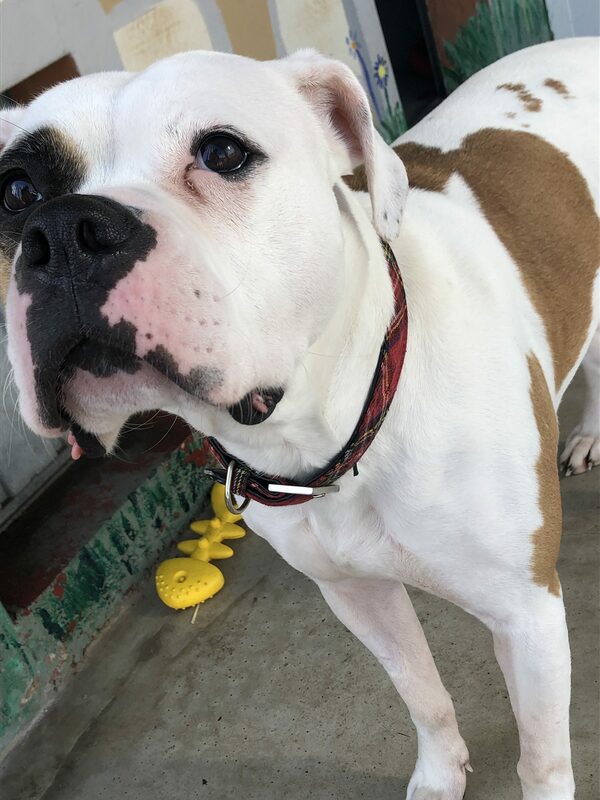 Bella – Dog Number 594 – Breed American Bulldog – Age (approx.) 3 years – Arrival Date March 2019. Bella is very happy when approached and she likes to have cuddles and strokes. Bella is looking for an energetic home who can give her the mental and physical stimulation she needs. Bella can be a little shy with new people, however this doesn’t last long as she’ll soon want to have a sniff of you then strokes. Treats are definitely the way to Bella’s heart and important to gain her trust. Bella will also need an owner who is willing to slowly introduce her to new sounds and environments so that she can get used to them. If you are interested in giving Bella a loving home or require any more information, please call 0191 215 0435.